Offer ends 30/4/19. See in store for terms and conditions. Bryan and team have been very welcoming to us since we signed up. Very prompt at returning any queries we have and a friendly team. Great location, easy to get to and all sheds are easy to access. Highly recommend! 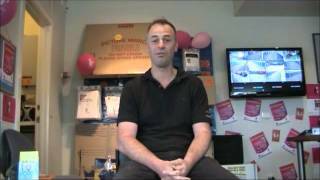 Fantastic service and very helpful staff.I highly recommend Storage King Braeside. Great customer service, everyone I have dealt with has been lovely. Called the day before I was to move and was able to get a suitable unit and use there box trailer, easy to access the unit and very clean. Have recommended Storage king and will continue to use them in the future! Rented a large storage unit from this venue for a year and was very satisfied with the cleanliness, sense of security, vehicle access to the unit, communication and emailed invoices. The price was very competitive from start to finish even after increasing by 5% over the year. Staff were always very friendly and vacation of the unit/cancelation of the contract was no problem at all. Great place had room for me to move in straight away for my Trailer. Security great light up everywhere at night . When power went out phone storage king staff came straight away to fix the problem . I Needed 24/7 Access . Storage king in Braeside was the only storage place that would supply me power for my unit as i looked at other Storage places they would not give me a power supply for a unit . Very close to home & email me when payment was due or deducted. I would recommend this storage place in Braeside if you needed a power supply for your needs etc . Well done Storage King Braeside keep up the good customer service . I have to say this was one of the worst customer service experiences I've had in a while. As we were selling our house our real estate agent provided us with a 1 month free storage and free usage of their truck voucher at this Storage King (Bradeside). This is an arrangement they have had with these guys for a while and as I understand it everything was merry until a recent change in owners. Let me note that these vouchers have already been paid for by the agent. The first time I called to book the storage unit I was advised that I was unable to use the voucher unless I first paid for one month myself. Nowhere on this voucher did it specify this nor did the agent advise that this was the condition. As we only required the one month, I called my agent back to clarify who also confirmed that this has never been the case so they made the call to Storage King. It was then that we found out about the change in owners and these new owners decided to change the rules. We were then advised that our voucher would be honoured so I called up a second time to book. This time I was told by 'Robbie' that although the voucher would be honoured I could not pick the storage size and was only offered the smallest unit, again something that was not specified on the voucher. I was advised that in the past customers could pick any storage size they required to fit their purposes. In addition the truck was apparently booked out for the next 3 weeks. Upon arrival to sort out the paperwork, I asked the guy on the day what the process was in finding out availability to book out the truck. As he wasn't sure he said he would leave a note for Robbie to give me a call back so I can make a booking. I even provided him with a few dates I would like to book it out. Of course Robbie never called me back to discuss. By then I really just had enough of the service so didn't even bother calling to chase it. All I can say is we did go to our storage unit multiple times during that month to move things and each time I was there the truck was always just sitting there. I've also been advised by others that in the past they've only had to request for the truck a week in advance and there's never been issues. All these issues and blocks felt like they just didn't want to service us because we were using a prepaid voucher. So by the end of the month we had moved everything out as agreed. I had also advised them that I would not be renewing for a further month - a requirement to provide notice or else they automatically charge for the next month. I was told they would put a note on the system to not renew. Of course I get a text message not long before expiry reminding me that my rental was due for the next month. I call up and speak to someone advising them yet again that I had already confirmed I would not renew, and was told that nothing was noted on the system however they would note it now. Then about 5 days after this I get another text messaging informing me that I'm 5 days overdue and a late fee would be charged at 10 days late. I call up and get Robbie again who just says 'he'll look into it'. Doubt I'll get a call back and will most likely get another reminder text in the next few days. It has been a pretty shocking experience and we were so glad to not have to associate ourselves again with this company however these reminders that we owe money has just confirmed how unprofessional they are. From beginning to end there's been ongoing issues. I do not recommend storing your belongings here. Perhaps they treat customers with prepaid vouchers different which either way is just not on! Hi Helen, as we've responded to your review above on Facebook already, we hope that if you have any further questions, please give us a call and our team will do our best to answer any concerns which you may have. Storage King were very helpful the people that handled our access and the management of our experience whether this be over the phone or onsite went above and beyond. We used the recent 1 month free deal and would definitely use them again in the future. Even though we were using this deal for temporary storage the staff treated us like we were long time customers. Thanks guys. 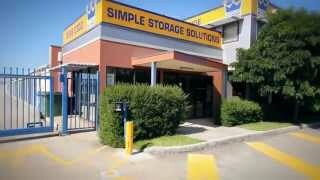 Let Storage King Braeside provide you with the Simple Self Storage solution to solve all your storage needs. Use our expertise to help you with moving, storage, relocation, packaging, etc. Storage King Braeside proudly services Waterways, Mordialloc, Aspendale, Edithvale, Chelsea Heights, Chelsea, Patterson Lakes, Bonbeach, Keysborough, Springvale South and Dingley Village.